Reviews from the other side – The Idiot – the harriella project. Having emerged (pretty much) intact on the other side of an English Literature degree, I have entered the strange and rather unsettling limbo between uni and ‘real life’, in which I have the liberating freedom to read any book I can get my hands on. This makes Waterstones a very dangerous place and its ‘Buy One Get One Half Price’ table my best friend. 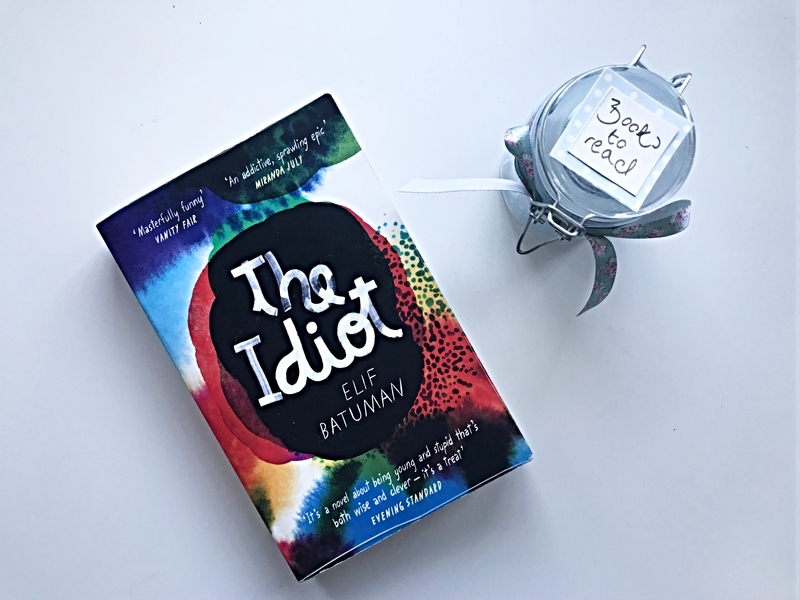 One of the latest books to catch my eye was The Idiot by Elif Batuman, not least because of its colourful cover, but also because I thought it might be a reference to Dostoevsky’s novel of the same title. Not that I’ve actually read it, but I like to think I’m savvy to a literary allusion after three years of not a lot else at university. Much to the delight of my inner (or outer?) nerd, I was right and this book is a literature or language student’s treasure trove. The story takes place in 1995, so it had the potential to be slightly outdated. In fact, I found myself relating to Selin, the protagonist, so much that I often felt as though I was reading a (very well-written) record of my own thoughts. She questions the difference between life and literature, and often thinks of her life as a narrative. Perhaps one of the reasons I liked The Idiot so much is because I wanted to be Selin, with her bilingual abilities and her enticing way with words. Selin is from a family of Turkish immigrants and has just started her freshman year at Harvard. As it’s the mid 90s, email is a relatively new phenomenon and she almost stumbles into an email exchange with a Hungarian maths student, Ivan, which gives her the opportunity to live as though she is a character in a book. She discovers that their e-relationship becomes more real than real life, something I think everyone can probably relate to. Somewhat encouragingly, their conversations are as random as my diary entries, if a little more eloquently put. Even more encouragingly, Selin just does normal things and is often fairly awkward about it. The most significant ‘event’ of the novel is her trip to teach English in a Hungarian village during the summer break, which she combines with a stay in Paris with her Serbian friend, Svetlana. This summer perhaps epitomises her ongoing journey of self-discovery, as does her complicated relationship with Ivan, which teeters precariously between real life and fiction. I found that there was a sense of ambiguity around their feelings for each other, possibly reflecting their own confusion and inability to live firmly in the real world without hiding behind their fictional creations. Although not a huge amount actually happens in The Idiot, I found myself totally lost in Selin’s world, just as she herself is lost in her own narrative. Written in the style of a classic bildungsroman, this is a book about being perfectly imperfect and discovering what it means to expose your true self to another person. I’d love to know what you thought about this book – let me know in the comments below! Also, feel free to follow my blog and keep up to date with future reviews and ramblings.